If you were sitting here laboring under some kind of delusion that Dave Chappelle came back to comedy out of some desire for fame or money or just because he wants you to like him, then you have another think coming. 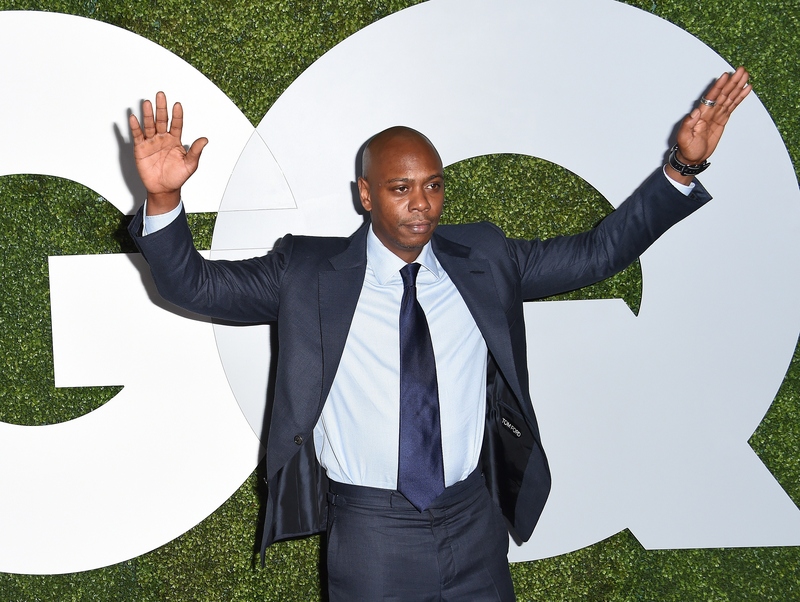 In reality, Chappelle says he came back to comedy because he feels he's necessary in today's comedy landscape, per an interview with the Associate Press. So basically, this is about what we need, not what he wants, so we should all be sitting up and paying attention, trying to get the most out of this. Chappelle notoriously left his job, his salary, The Chappelle Show, and public life back in 2005 when he didn't like the direction his life was going, a decision that's been picked apart and speculated on in the years following the decision by basically everyone with a working mouth and brain. It just seems so insane to most of us that someone would turn his back on a wildly successful television show and millions of dollars because of moral and ethical issues with its production, but that's the kind of person Chappelle has always been. And in a conversation with the Associated Press after at the Art For Life benefit on Long Island, where he received an award from Russell Simmons' Rush Philanthropic Arts Foundation, Chappelle proved that it's the kind of person he still is, by making it clear that he's back because he feels responsible as an artist to make sure we're on the right track. I think it is important to be out now, but what's going on in the world isn't why I initially came back out. This is a very surprisingly emotionally charged time, so people like me, I think, are very relevant and necessary in sorting through all this information and emotional content. And when we are at our best, hopefully we are doing a great service to many people. I think that's a very heads-up way to think about comedy, and I appreciate that Chappelle takes it as seriously as he does. Sometimes the only way to change people's minds is to make them laugh at something and then think about and question why it was funny to them; otherwise we're all just stuck in our same ruts forever. It was a theme that Chappelle touched on in his speech as well, emphasizing that artists also need to be activists. The biggest enemy of an artist is apathy. A kid gets killed by the police and I buy a T-shirt and before I can wear that one, there's another kid (killed) and I'm running out of closet space. Word. Let's all try to treat Chappelle with some respect this time around, so we don't miss out on his valuable worldview. It's literally the least we can do.